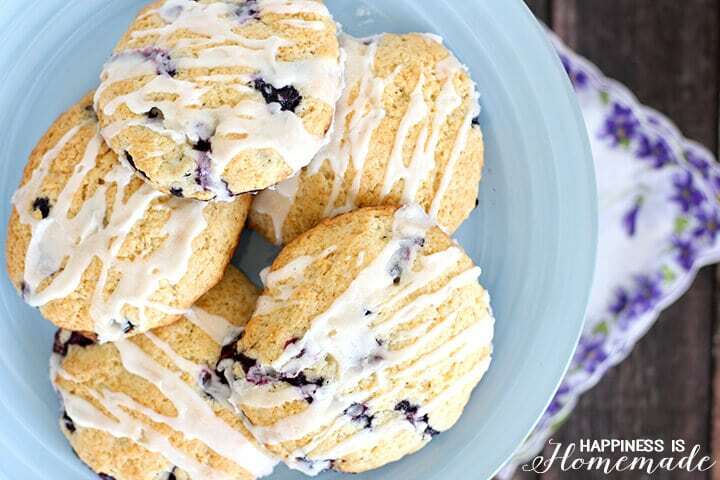 These lemon + blueberry scones are perfection! Lightly crunchy on the outside, soft and fluffy on the inside, and absolutely melt-in-your-mouth delicious! There is something about the process of growing your own food that feels magical, and the garden-to-table experience can be very empowering. It feels incredible to be able to feed your family with food from the garden that you built and tended to with your own hands. You know exactly where your food came from and how it’s been handled, and your food can be harvested at the peek of ripeness for intense flavors you won’t find at the supermarket! 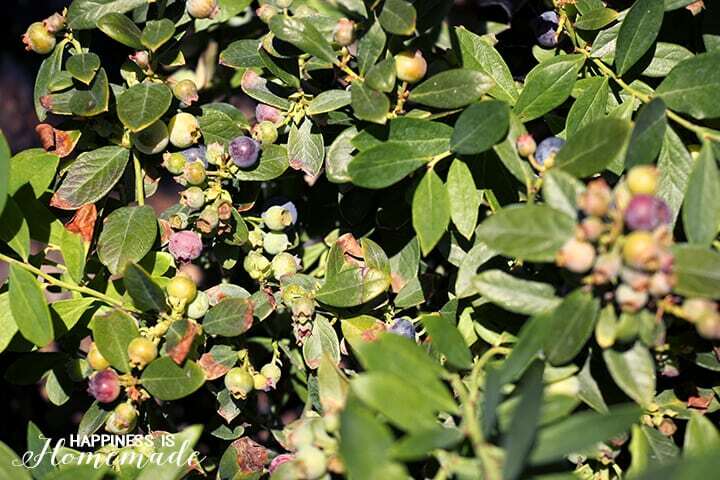 The blueberry bushes in our garden have been very productive this year, and we pick handfuls of dark ripe berries every day. 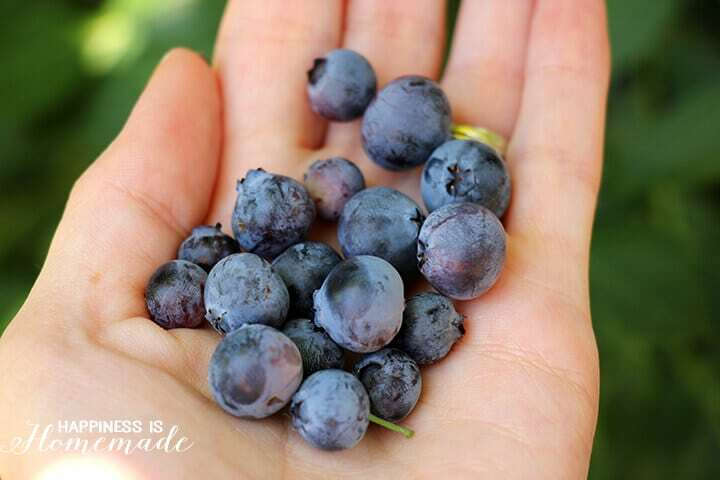 My four-year-old, Simon, is especially fond of blueberries, so I usually have to race him to the garden in the morning if I want to harvest any berries for the rest of the family! 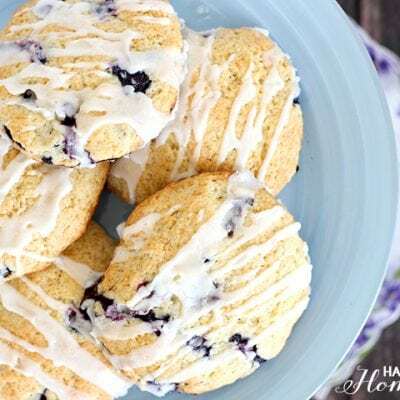 My mother-in-law has been raving about this scone recipe (slightly adapted from The Food Network), so Simon and I decided to make a batch using some of our blueberries and a lemon from our neighbor’s garden. I love having neighbors who like to swap garden goodies with me! In a large bowl, combine flour, baking powder, sugar and salt. Cut in butter until well combined. In a smaller bowl, mix together the cream, vanilla extract and egg. 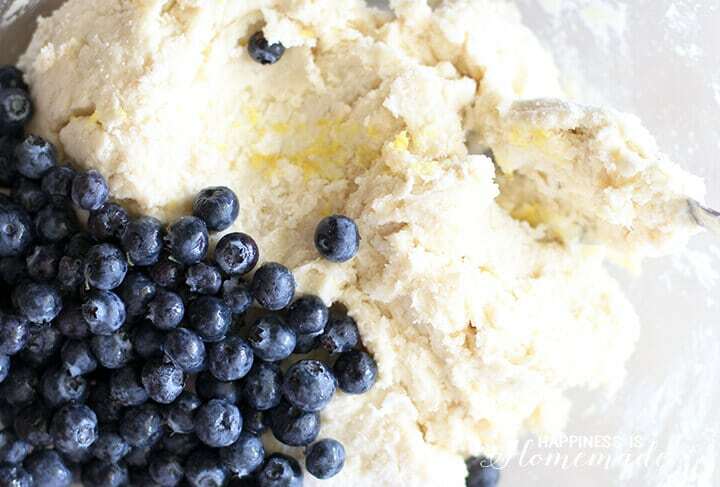 Add the cream mixture to the dry ingredients, and then stir in the blueberries and lemon zest. Roll the dough on to a floured surface and cut into biscuit-sized rounds. Alternately, you can also divide the dough into 12 pieces, roll each piece into a ball in your hands, and flatten on to a baking sheet to speed up the process. Bake on a parchment paper lined baking sheet for 15-17 minutes or until lightly golden brown. Allow to cool slightly. Combine all of the ingredients for the lemon glaze, adding water 1/2 tsp. at a time if necessary to thin the glaze. 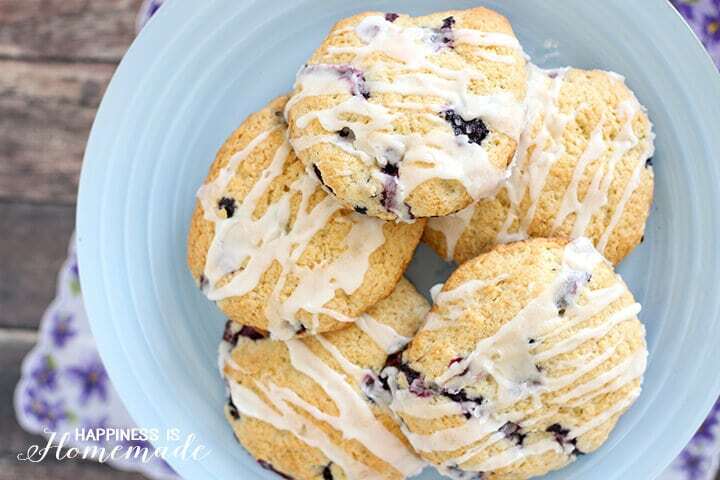 Drizzle over the warm scones. 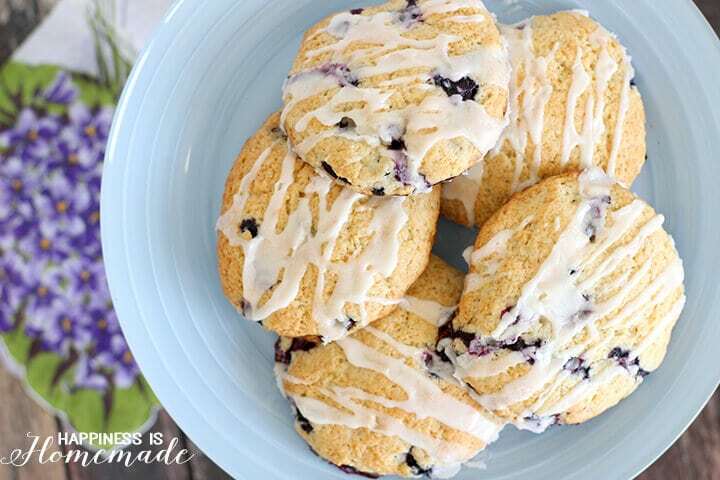 We topped the scones with a drizzle of lemon icing, and they were the BEST scones I have EVER eaten! Hands down! 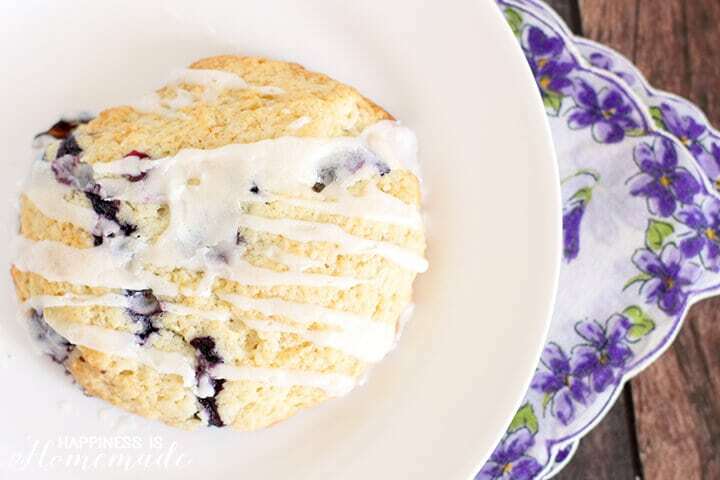 The scones are light and fluffy, and the texture actually reminds me of a muffin top with a crispy outer crust and a soft airy center. 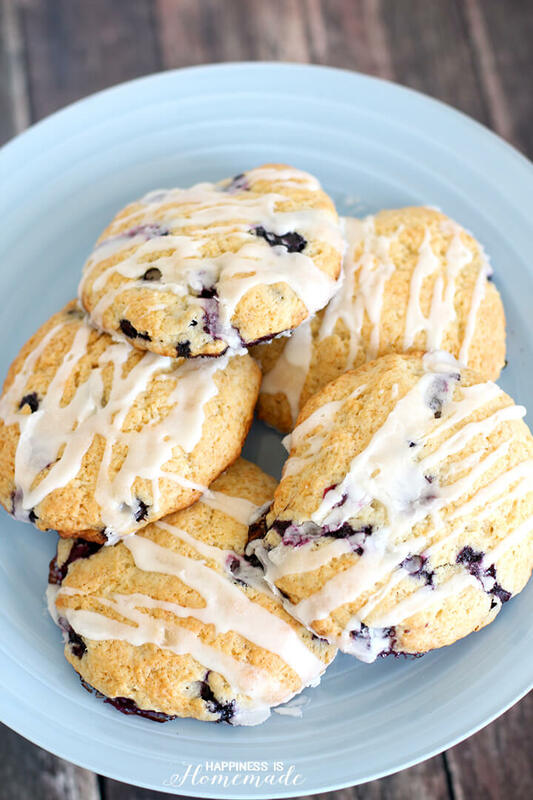 I usually think of scones as being dry, hard and sort of bland, but these are NONE of those things! They’re incredible! My boys devoured half of the batch of scones before they even had a chance to cool down! They’re already dreaming up other fresh-from-the-garden flavor combinations that we can try next. One of them suggested making a zucchini bread scone, and another suggested a strawberry scone. I’m thinking that we need to try both of those ideas! Water on a consistent schedule! 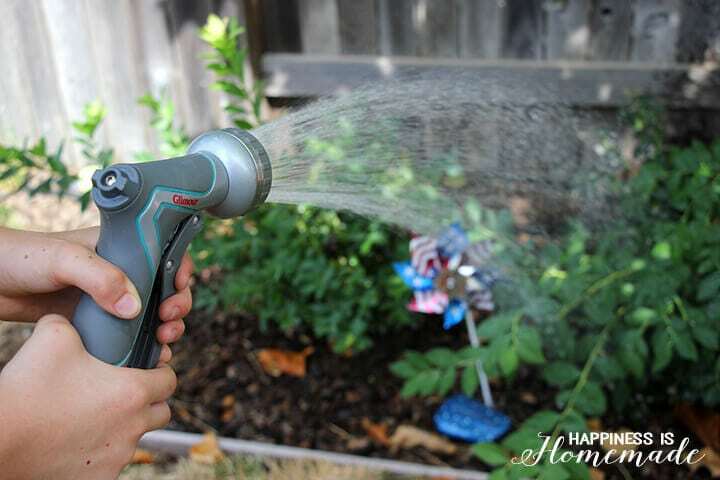 Here in California we are on strict water restrictions (due to severe drought conditions) that limit us to twice weekly landscape watering, but you are (currently) allowed to water your vegetable/fruit gardens every day (utilizing hand watering or a drip system). Watering on a consistent daily schedule will help to prevent plant shock that can accompany an every-few-days watering schedule. Consistent watering will translate into consistent production and more fruitful conditions for your garden plants. Water during the late evenings or early mornings to maximize the amount of water that is able to reach the plant’s roots and avoid sun evaporation. Invest in quality garden tools! We rely on Gilmour garden tools to keep our plants healthy and productive year after year. 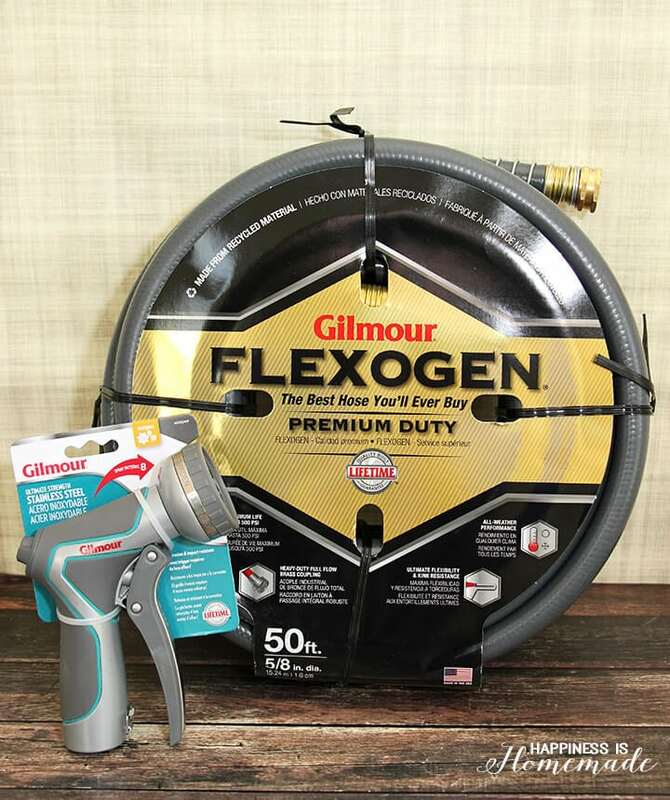 We use the Gilmour Flexogen, the only 8-layer hose (most hoses have only 6 layers), because it really is the longest-lasting and most durable hose available. It beats all others in abrasion, twist and burst tests, and it stands up to heavy use from our house full of boys. Flexogen’s lightweight build and layer of oxygen-infused foam greatly increase its flexibility, and results in a hose that can follow you around corners to different parts of the garden/lawn with ease. We always pair the Flexogen with Gilmour’s Ultimate Strength Durable Metal Watering Sprayer. It is definitely the best sprayer we’ve ever owned with its easy-to-change dial settings, comfortable grip, and “garden” setting that is ideal for watering fruits and vegetables. Plus, it NEVER leaks! Pick your fruit and veggies near the peek of ripeness! Most home grown fruits and vegetables will develop their best flavors at the peek of ripeness, so resist the temptation to pick them too early! Fruits and veggies that are ripened on the vine have a fresh and vibrant flavor that is unmatched by anything you find at the grocery store. You’ll know that your food is ready to harvest when it has developed its full color and is almost ready to come off of the vine/plant/tree on its own. Eat your garden-grown fruits and vegetables immediately or can/freeze for future use! 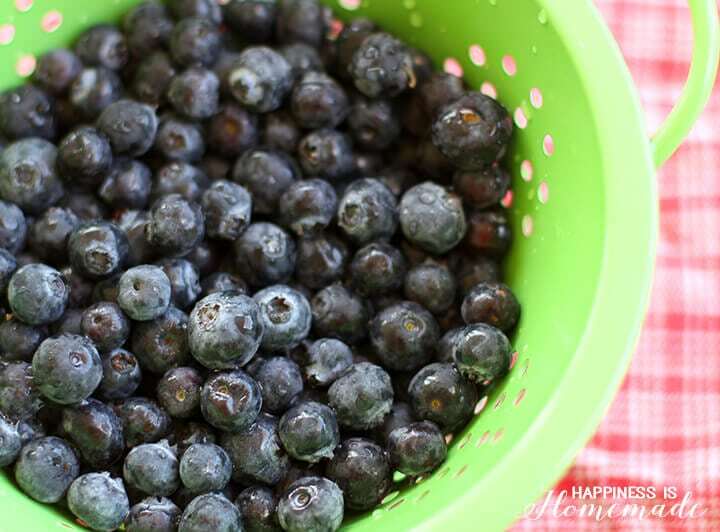 Fruits picked at the peek of ripeness tend to become spoiled and overripe quickly, so plan on eating them right away or utilize canning and freezing methods to preserve your bounty year-round. To learn more about our favorite gardening tools, be sure to visit the Gilmour website (they have some great lawn and garden tips on there as well!) and follow Gilmour on Facebook. In the meantime, if anyone needs me, I’ll be over here munching on the rest of these amazing scones!